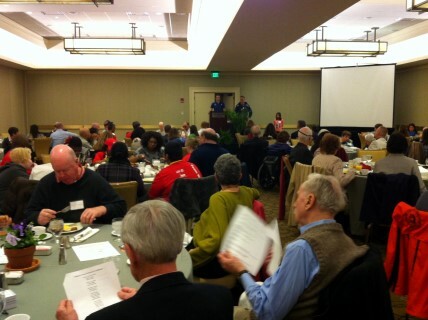 Today was the Massachusetts Association for the Blind’s Volunteer Appreciation Brunch. 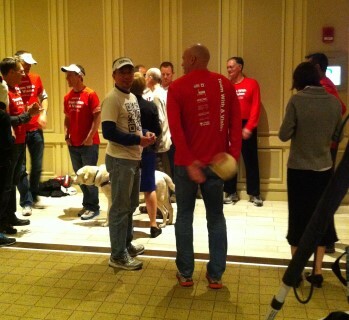 Marathon runners and fundraisers were recognized, along with the volunteers who help MAB support the visually impaired on a regular basis throughout the year. 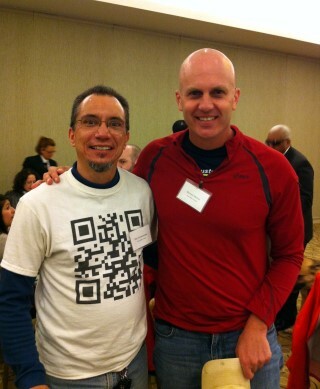 I finally got to meet Mike M., the runner I’ll be guiding in the Boston marathon tomorrow. Mike is the tall one. But we finally took a group photo. Then it was off to the expo to pick up our numbers. 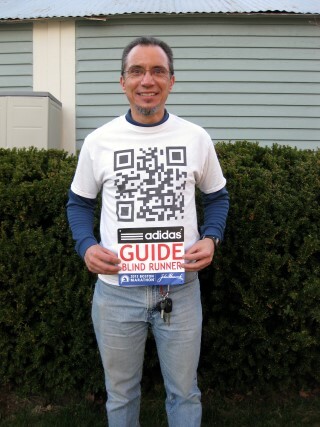 Mike is #21076, if you’re following along at home.